Have you ever wondered what goes on in a genetic testing laboratory? What kinds of measures are taken to guarantee quality testing? 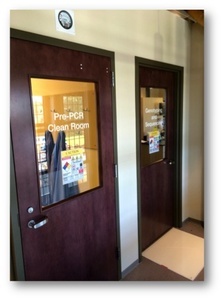 For example, does the laboratory that you use have what is pictured - a clean room? What is a clean room and why should they have one? And why can’t you bring your dog directly to the laboratory for swabbing? 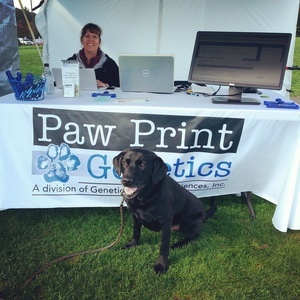 Paw Print Genetics has received a lot of questions about our testing quality and accuracy – and we love it! Ask away! We like to talk about our lab and the careful approach we take to testing to ensure that your results are reliable and accurate. Otherwise, what’s the point? A genetic testing lab must have accurate and reliable results. They should have performed validation studies for each of the diseases and mutations that they offer. Does your testing lab provide you with the test’s sensitivity and specificity for the diseases you are concerned about? Have you asked for this? 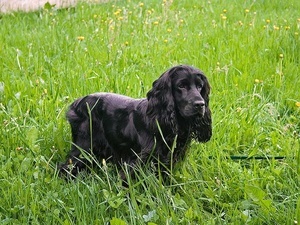 Do English cocker spaniels share any diseases in common with people? Affectionately known as the wiener dog, the short-legged, long-bodied dachshund is consistently one of the top 10 most-registered dogs in the country. It seems the dachshund has always been popular, with kings and queens of Europe in the distant past, as well as with the likes of artists such Pablo Picasso and Andy Warhol, Presidents John F. Kennedy and Grover Cleveland, writer E.B. White, newspaper tycoon William Randolph Hearst and singer Adele in more recent times. 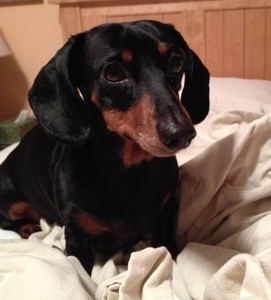 The popular dachshund originated in Germany and was bred to track badgers, enter their den and fight them to the death. The modern dachshund is much smaller than the badger-fighting ancestor, which weighed between 30 and 40 pounds, and is usually bred for the conformation ring and as a companion animal. 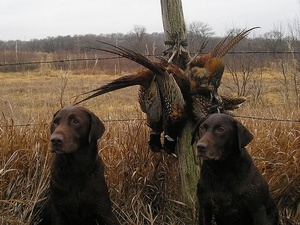 However, there are lines, especially in its native Germany, that are still bred for hunting purposes. Meeting our customers face to face and personally answering their questions is a high priority for Paw Print Genetics. 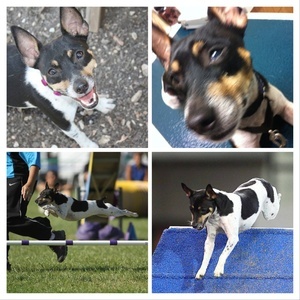 In the last month, several members from our team have hit the road to attend dog shows. 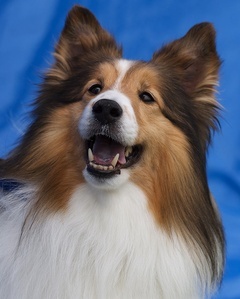 We had the pleasure to meet hundreds of dogs and their owners to talk about the value of inherited disease testing when breeding and buying a puppy. In late September, Casey, our DVM and Assistant Medical Director and I travelled to Salem, Oregon for The Poodle Club of America’s Regional Specialty. We met poodles of all sizes and colors from all over the region. The poodle owners spent hours grooming and attending to their canines, but when they had a moment they stopped by our booth to talk about their concerns regarding genetic diseases. Our Poodle Panel includes six inherited diseases found in the breed. After discussing health concerns with these owners, most indicated that they always test for PRA-PRCD and neonatal encephalopathy. 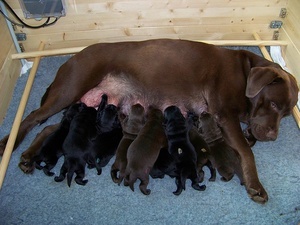 Many people were unaware that several breeds, including poodles, are possible carriers for degenerative myelopathy, a devastating disease with onset later in life. Many people underestimate the ongoing financial burden of responsible dog ownership when considering a puppy, and instead focus on the upfront price of the dog. 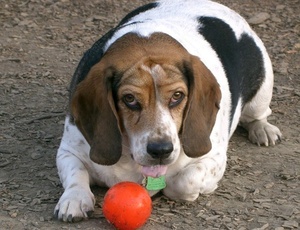 The cost of a well-bred dog will be the least amount of money you ever spend on it. In an AKC survey of more than 1,000 dog owners, one-time costs (crate, neutering, bowls, leash, purchase price) averaged $2,100, while ongoing costs averaged $2,500 per year for items such as food, routine veterinarian care, boarding, treats and training. With the average lifespan of a dog being about 13 years, using these averages, you can expect to spend nearly $35,000 on a dog over the course of its lifetime. Even cutting these estimates in half, you can still expect to invest close to $20,000 in your pet. The difference in paying for a $50 dog or a $1,000 is, in the long term, a negligible difference. Your upfront costs will always be the least of your financial worries. 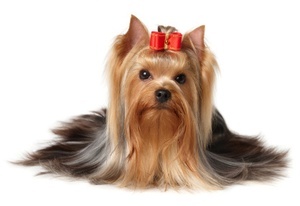 Originally bred as a ratter, the Yorkshire terrier quickly became a show-dog darling and companion animal for the middle and upper classes – roles it retains to this day. Yorkshire terriers, or “Yorkies” as they’re affectionately nicknamed, were derivates of terriers from Scotland that were crossed with the now extinct Paisley terriers, which possessed a long and luxurious coat. While they are show dogs today, Yorkies originated within the working class during the 19th Century and were developed and used by those in textile mills to find and kill rats – a job they were very good at thanks in large part to the tenacious terrier personality. Later, they were used in rat-baiting competitions – a practice where they would be placed in a pit or other enclosed area with rats, and then bets were placed on how many vermin the dogs could kill in certain amount of time.